For John McCain being a maverick meant refusing to vote with his party on some important issues (at least this is his claim when he referred to himself as a maverick). 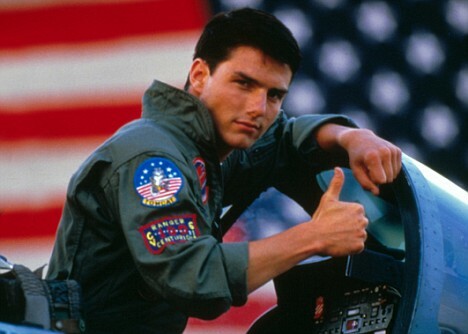 In the case of ‘lil Tommy Cruise and his character in Top Gun–whose pilot name was Maverick–being a maverick meant rebelling by not only refusing to follow the rules but deliberately flaunting them so as to prove that they didn’t apply to him. The original meaning of maverick refers to a farmer in Texas named Samuel Maverick who didn’t brand his cattle. In this case, a maverick is: “an unbranded range animal, especially a calf that has become separated from its mother, traditionally considered the property of the first person who brands it.” This final meaning is fascinating to me. Could it be suggesting that a maverick is someone with no community of its own–and by extension no particular perspective or stance–whose allegiance is available to the first group to take them in or the highest bidder? Hmmmm–is that the kind of maverick that McCain is/was? While there are some serious differences between these three descriptions, one thing remains the same: the maverick is a loner who doesn’t play nicely with his party (McCain) or follow the rules (‘lil Tommy Cruise) or really belong to any community or identity group (Samuel Maverick). The maverick is someone who acts alone and without others; who either rejects their community or doesn’t belong to one. It is this lack of belonging (and connection) that distinguishes the maverick from the troublemaker (at least, the troublemaker-as-virtuous-moral-agent). Troublemakers do not act on their own. They act on behalf of and from within (even if from the fringes) a community or communities. They are selves-in-relation who are connected to others. And, in the words of J Butler, they are selves who are vulnerable, undone by, responsible for and to others. They are not loners. And their actions are not meant to isolate them from their communities. In contrast, mavericks distance themselves from their communities; they act alone. A major point of their mavericky (thanks, Tina Fey!) behavior is to stake a claim as an individual who is not beholden to anyone. Hmm…The American Individual writ large. 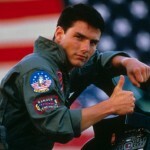 Yes, it makes sense that maverick, as a term, originates in the U.S. (and especially in Texas). It fits with the American ethos of wide open spaces, freedom as being left alone to do what you want to do (negative freedom), and individuality. Judith Butler wants us to disobey. Why? Exactly. I first came across this interview with Judith Butler at Engage: Conversations in Philosophy. In this excerpt, Butler talks about disobedience and how we can shift from being obedient subjects who willingly accept and follow the rules/regulations by those in power to being critical thinkers who, through the process of questioning and challenging, become disobedient troublemakers. The emphasis in bold is mine. But in the moment we begin to ask ourselves about the legitimacy of this power we become critical, we adopt a point of view that is not completely shaped by the state and we question ourselves about the limits of the demands that can be placed on us. And if I am not wholly formed by this power of the state, in what way am I, or might I be, formed? Asking yourself this question means you are already beginning to form yourself in another way, outside this relation with the state, so critical thought distances you to some extent. When someone says “no” to power, they are saying “no” to a particular way of being formed by power. They are saying: I am not going to be subjected in this way or by these means through which the state establishes its legitimacy. The critical position implies a certain “no”, a saying “no” as an “I”, and this, then, is a step in the formation of this “I”. Many people ask about the basis on which Foucault establishes this resistance to power. What he is saying to us is that in the practice of critical thought we are forming ourselves as subjects, through resistance and questioning. So, when we begin to ask about why we are formed in the way that we are or why the rules exist as they do, we create a critical distance from those rules. This distance enables us to (occasionally or more frequently) resist those rules and it also prevents us from being completely shaped by them (or in the shadow of them) into good little obedient people/subjects/citizens. Instead of being overly influenced by the rules, we can be shaped by our questioning of them into critical thinkers who disobey and never merely accept anything without questioning it once or twice or three times, etc. Ah ha! Critical thinking. Being disobedient. Questioning authority. Sounds a lot like troublemaking. Yep. Well, it should. Butler (along with Foucault who is she referencing) is a big source of inspiration for my own thinking about troublemaking (It also reminds me of my discussion of Foucault’s link between curiosity and care in this entry). I really like how Butler (with the help of Foucault) links disobedience with critical thinking and turns asking “why” into an act of resistance. The mere (or not so mere) act of wondering why something is the way that it is or why it isn’t any other way opens up distance between you and the things (like regulatory power) that shape you. It gives you an “outside” perspective from which to reflect on your own experiences. And it allows for the possibility of an alternative idea of the subject/self–not as one who is wholly constructed by the norms and regulations that surround us and give us meaning but as one who is constructed as a being-in-resistance, a self-who-questions. That’s cool. Here, let me explain that idea in another way. Butler argues that asking why things are the way that they are is a form of disobedience (or is way of not being obedient if obedience requires unquestioned acceptance). The emphasis here is not on disobedience as a refusal to follow the rules or a rejection of rules altogether–some rules are necessary and important and helpful. No, Butler wants to emphasize disobedience as the refusal to be/become subjects who accept and willingly/unthinkingly obey the dictates that we are given without question. Again, in this sense, the disobedience is not to Rules or Law or the State (although that is important as well), but to the formation of us as subjects-who-merely-obey. So, Butler is particularly interested in how our obedience or disobedience functions on the level of self-(re)making (or what Butler would call subject formation). Now, this idea of disobedience is not just about how and who we are as political subjects who engage in those practices that are traditionally considered to be political (like voting or protesting or being a part of activist communities or even participating in civic organizations). This idea of disobedience is about how and who we are as selves as we engage in our everyday activities and as we work (intentionally and not so intentionally) on our moral/ethical/intellectual development. And it happens when we ask “why”–not once or twice but everyday and all the time. Kids are really good (sometimes too good) at asking “why”–from the mundane (why isn’t yellow your favorite color?) to the scientific (why can’t it snow in the summer?) to the existential (why can’t Nana live forever?) to the defiant (why do I have to eat my vegetables?) to the disturbing (why can’t I eat my own poop?) to the repetitive (Why? Why? Why?). The asking of these questions can be tedious for parents, but they are (most often) not done by children in order to be destructive or disrespectful. At their best, these “why” questions demonstrate curiosity and an interest in (caring about) the world and how it works. And, they are an assertion of a self-in-process who is claiming their independence from the forces that shape them. Posted on June 9, 2009 May 4, 2015 Categories EngagingTags asking questions, curiosity, disobedience, Judith Butler, moral selfhood, subjectivity385 Comments on Judith Butler wants us to disobey. Why? Exactly.